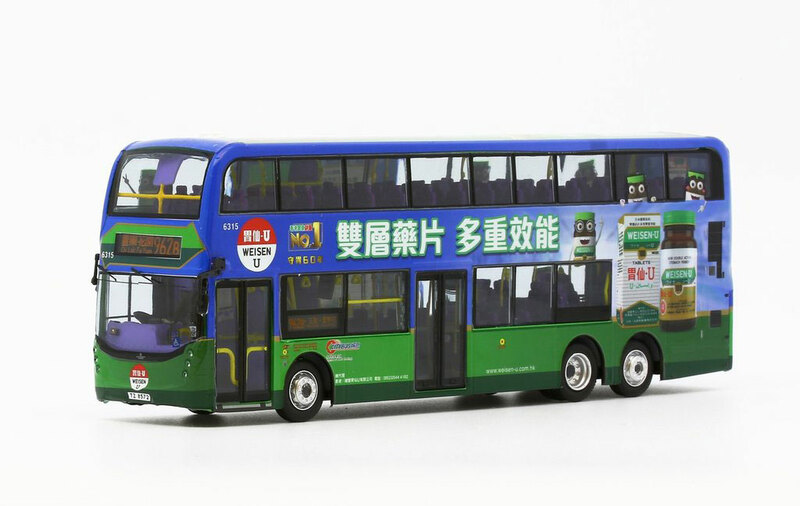 The bus - The delivery of the standard 12.8 metre Enviro500s commenced in earnest in January 2016 and as at October 2018, one-hundred and sixty such vehicles had entered service (fleet nos. 6300-6459). 6315 was first registered on 21st March 2016. 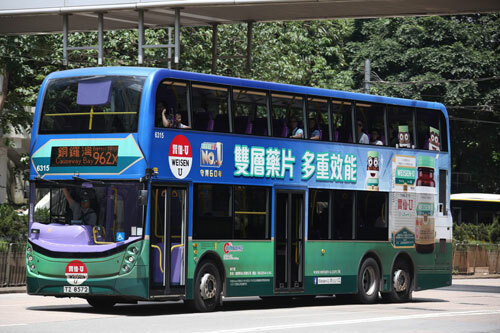 Similar 12.8 metre vehicles, but with large luggage areas, are allocated the fleet numbers 6501-6588 (correct as at 9th Feb 2019). Weisen-U is the No.1 selling gastrointestinal drug brand in Hong Kong. 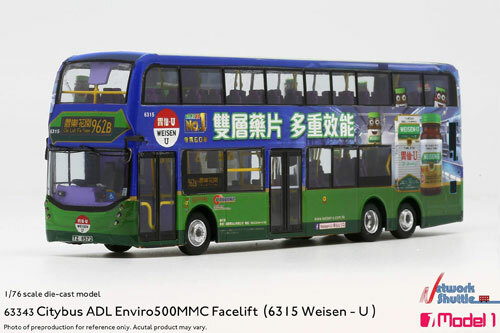 Weisen-U has been advertising via Citybus since 1990’s and this 'facelift' Enviro500 features the latest version of advertisement.